An island paradise becomes a scarred paradise lost in the spectacular South Seas adventure Rapa Nui, co-produced by Kevin Costner. Jason Scott Lee (Dragon: The Bruce Lee Story) and Esai Morales (La Bamba) play boyhood friends turned fierce rivals in this tumultuous tale of love and war. Each loves the same woman (Sandrine Holt of Black Robe) – and each intends to win her hand in marriage by competing for the island leadership in a grueling tribal contest. But the bitterness of the competition spills over into a savage civil war...and the isolated island’s destiny hangs in the balance. 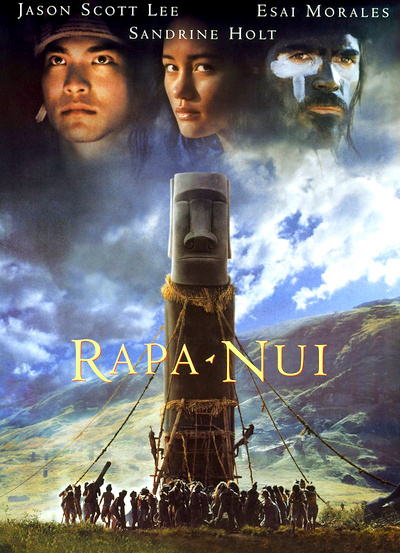 Lush, romantic and heroic, Rapa Nui is "an amazing achievement of imagination that dazzles the eye and challenges the mind".